Autumn, mother to 5 of our kittens, has put up with them and all their antics. 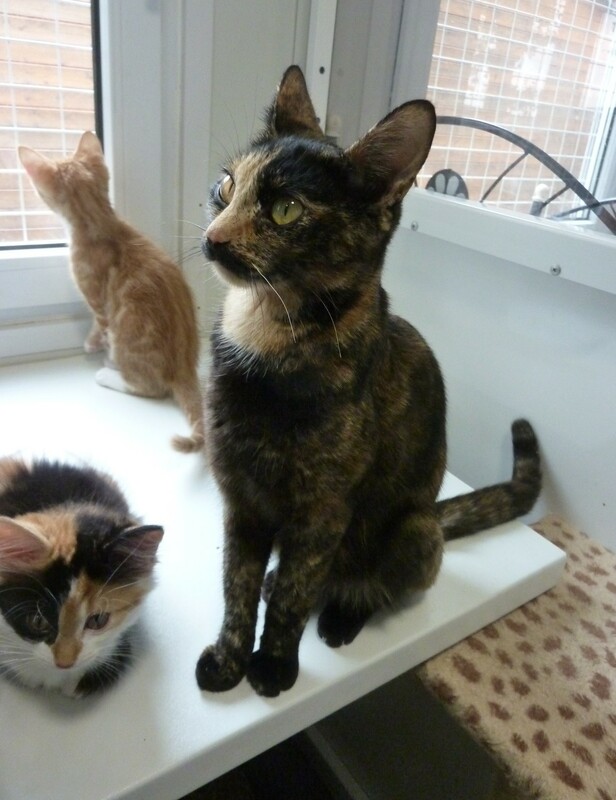 Autumn is still very young herself and enjoys playing with her “crew”, but also enjoys attention from humans. Please come and meet this lovely patient lady.